We offer more effective solutions, fast and flexible in the field of international transport of hunting trophies. In order to give our customers the best service, in term of reliability and competitiveness and complete security at the end of your hunt, so you may have in your hands, the symbolic souvenir which will remind you of a great hunting adventure. TRANSTROPHY eagerly accepts the challenge to become a part of your hunting trip, acting as a link between all government agencies and customs offices etc. that the shipment of the trophies require. We prepare all the necessary certificates (Veterinarians, CITES…) and then we collect, transport and deliver the trophies to our customer as soon as possible. To achieve our purpose we have a team that is responsible at any time to keep track of each client’s trophy personally and seriously, and it does reflect the success of TRANSTROPHY transport within the world of hunting trophies. It should be emphasized that we have the most appropriate means of transport and the contacts that makes our international infrastructure efficient, rapid and solvent. 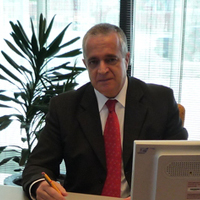 Transtrophy is managed by Valeriano Belles and directed by F. del Olmo, who is responsible for monitoring the proper functioning of the company. Together with our partner from NOVOCARGO, we make a very good team, with extensive experience in the field of the export of the goods and more specifically, in our business which is hunting trophies and we pay special attention to all the necessary details required by each of our customers.